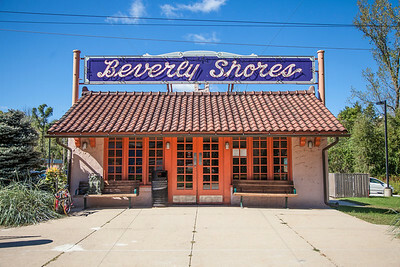 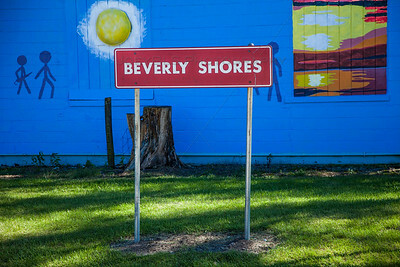 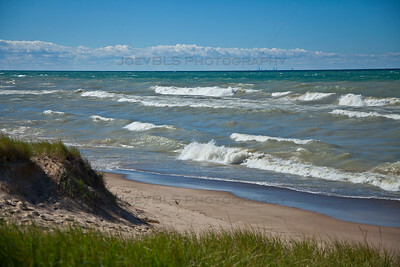 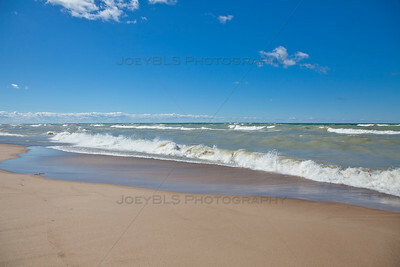 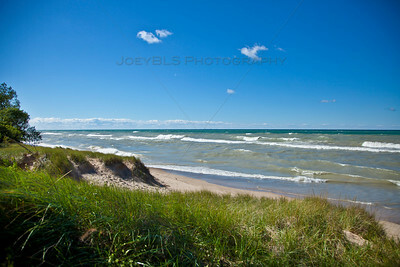 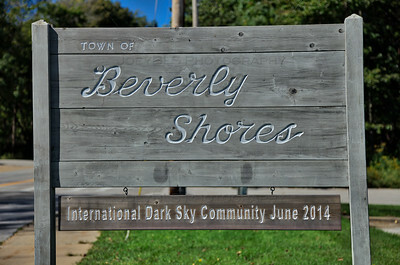 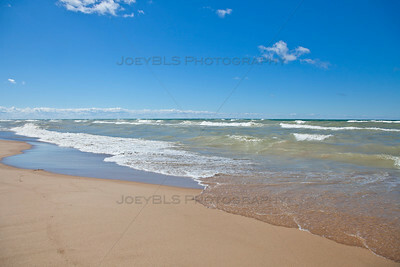 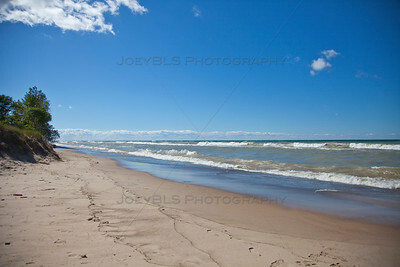 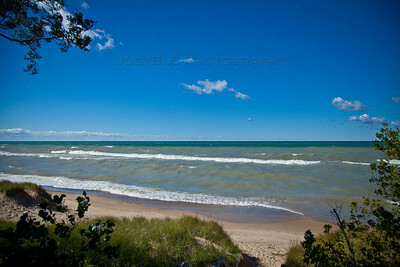 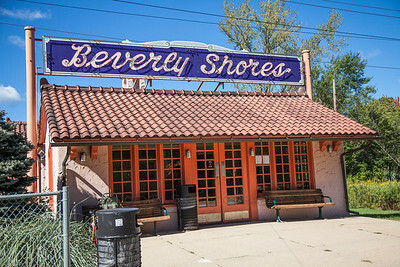 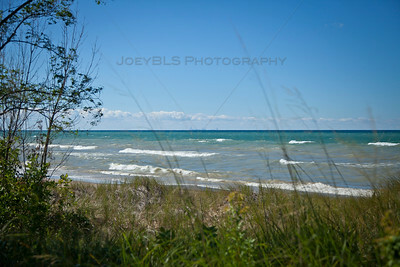 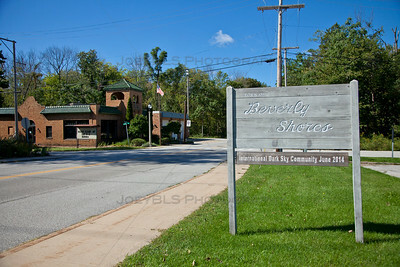 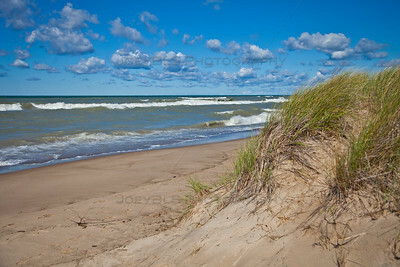 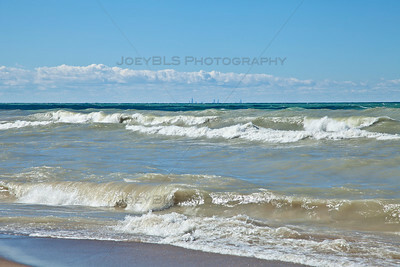 Beverly Shores, Indiana in Northwest Indiana. 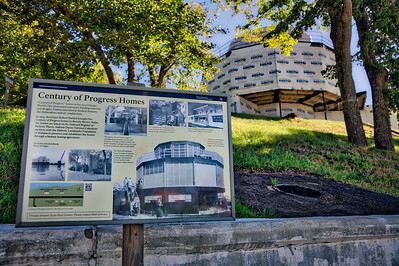 Home of the Century of Progress Homes from the 1933 World's Fair in Chicago. 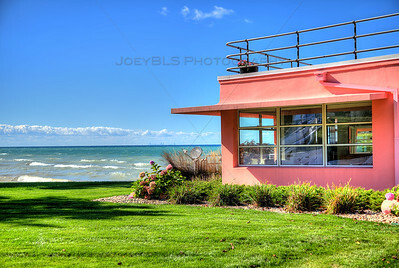 The Florida Tropical House, one of five Century of Progress houses that were featured in the 1933 World's Fair in Chicago. 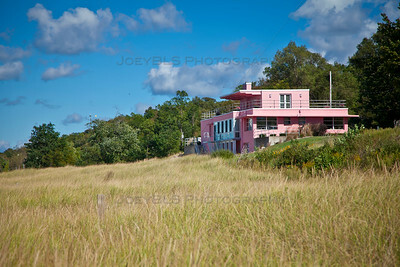 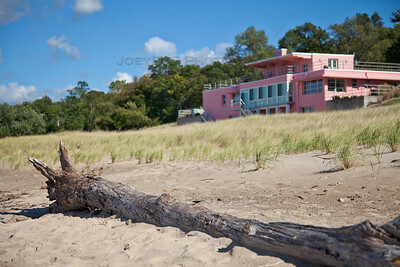 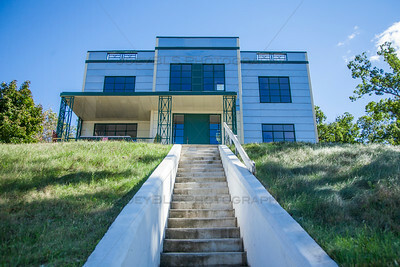 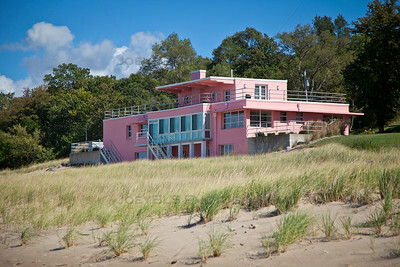 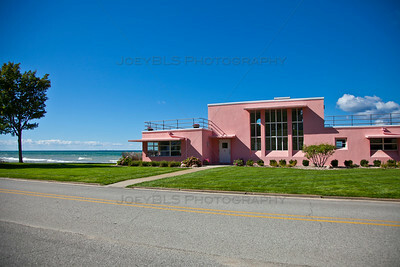 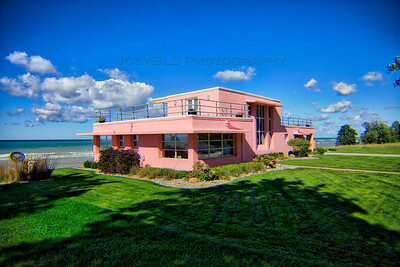 The houses were shipped to Beverly Shores, Indiana on a barge across Lake Michigan in 1935 and have remained ever since.